Play - Think - Type: Business Cards! 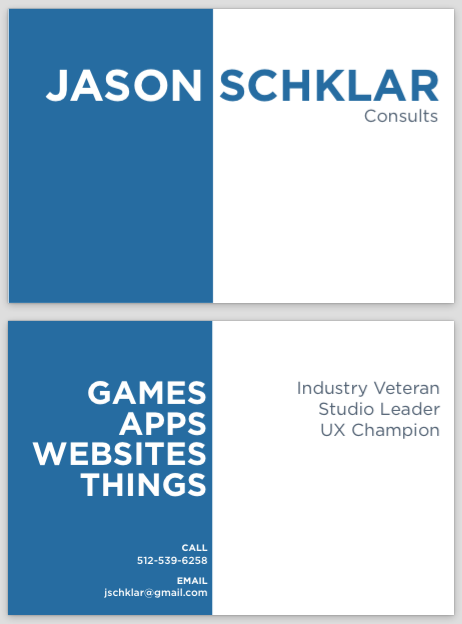 Liza has been (correctly) hounding me to get business cards together. She did a great job with a reluctant client. They aren't perfect, yet... Don't have a business name, slogan, identity, contact info is too small, etc. But they're sharp and provide the relevant information. 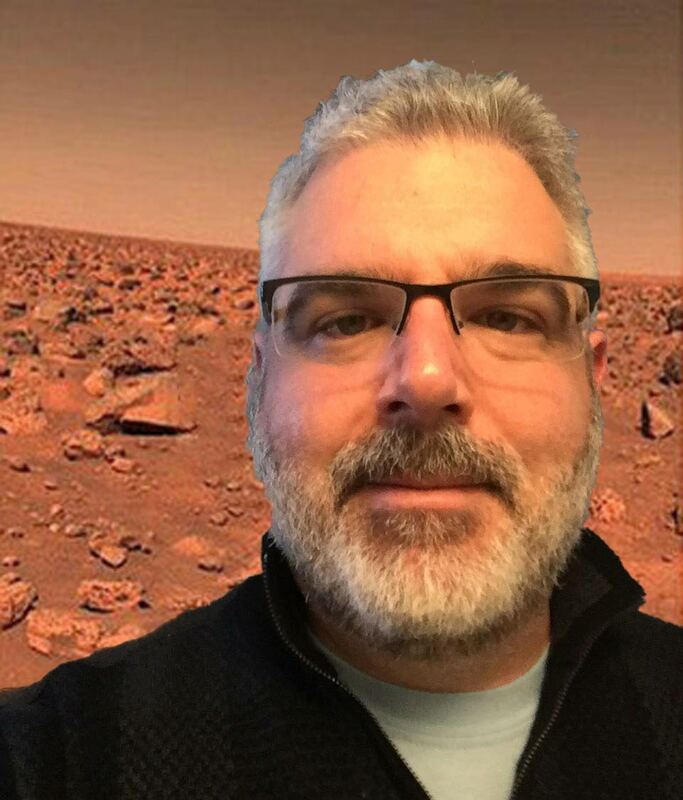 I chose the name "Jason Schklar Consults" for horrible reasons. It's a reference to The Office (British version) and specifically to a segment where the unlikable Gareth Keenan is charged with investigating some office malfeasance. The actual copy I gave Liza was "Jason Schklar Consults!" (with the exclamation point) but she wisely cut it. Fortunately Liza doesn't have login credentials to my Facebook and LinkedIn accounts where I keep the "!"